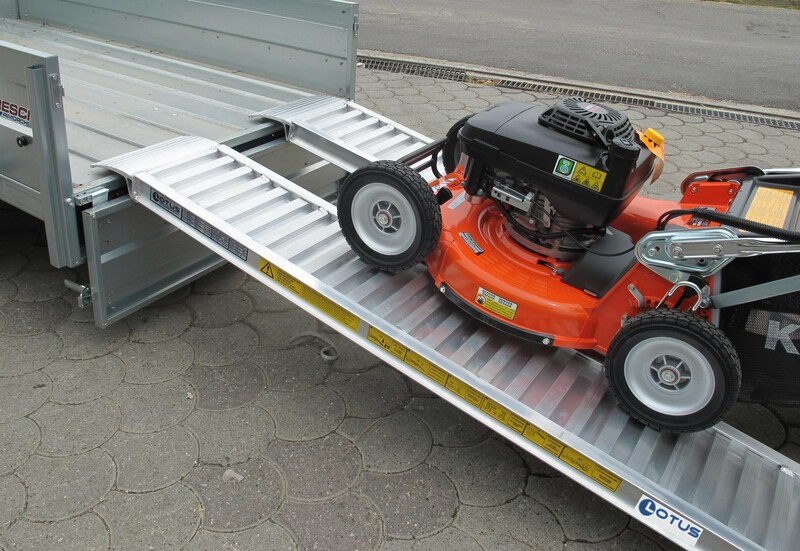 Machines are often heavy and extremely difficult to unload from vehciles, especially alone. From a health & safety and ease of use point of view good quality ramps are essential. Question ? But they take up too much space on the van ? Answer - Not an issue - our folding ramps take up minimal space whilst being lightweight & robust. 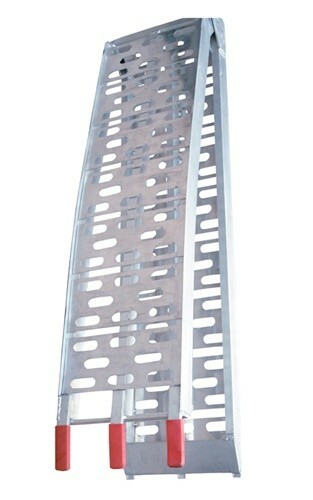 - Ramps store flat or folded. - Up to 540 kg capacity. - Slightly curved for increased ground clearence. - Manufactured from lightweight aircraft grade aluminium. - Connection strap supplied with each ramp. - Lightweight for ease of handling & health & safety guidelines. - Angled foot that allows for smooth access onto the ramp.